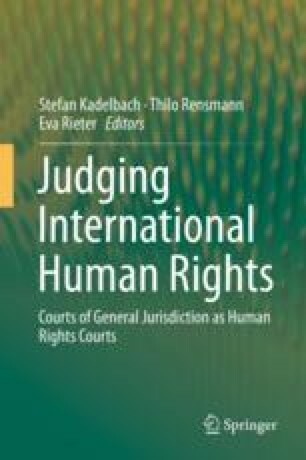 This book concerns the role played by international and domestic courts of general jurisdiction in implementing and developing international human rights law. For the purposes of this volume, such “courts of general jurisdiction” differ from “human rights courts” proper in that they have not been established to deal specifically and exclusively with human rights. As such, courts of general jurisdiction also encompass regional (economic) integration courts and all other courts with jurisdiction over non-human rights matters.